This is going to sound flat out rediculous. Here goes: I fell in love with a Pisces man (with moon in Sagittarius) for the first time last summer. He and I were separated, and I love him with all my heart to this very day. Five months later, I fell in love with another Pisces man. Well, this one cheated on me. Today, a Pisces that I have been attracted to for a while just told me that he is in love with me. Since the first Pisces, it has been only about 10 months!!! I haven’t spoken to the first one since July. The second one, not since April. The third, since 4 hours ago. What is wrong with me? Another detail….they are all Turkish. This could be some deep rooted defect in my personality. Am I flawed? WTF!!! HELP PLEASE!!! Did I mention the first one felt like my soul mate? 🙁 2nd one’s a jerk…third is too sweet to damage. And….I think I am in love with all three of them!!! Is that possible? Transiting Uranus in Pisces is conjoining your Moon, which rules your Ninth House. The Ninth House governs international affairs. Uranus is awakening this part of your natal chart, and bringing these Turkish Pisces men into your life. This attraction to foreign men is mirrored by your Sun conjunct Jupiter in Sagittarius, as both Jupiter and Sag are naturally associated with the Ninth, and concern the world at large. I don’t see how an attraction to Turkish Pisces men is a “deep rooted defect” in your personality. Perhaps you feel uncomfortable with your attraction to Pisces because your Moon makes a 90-degee angle, or square, to your Sagilarious Sun. You have difficulty integrating your emotional self with your conscious identity. Habit (Moon) and will (Sun) are at cross-purposes. 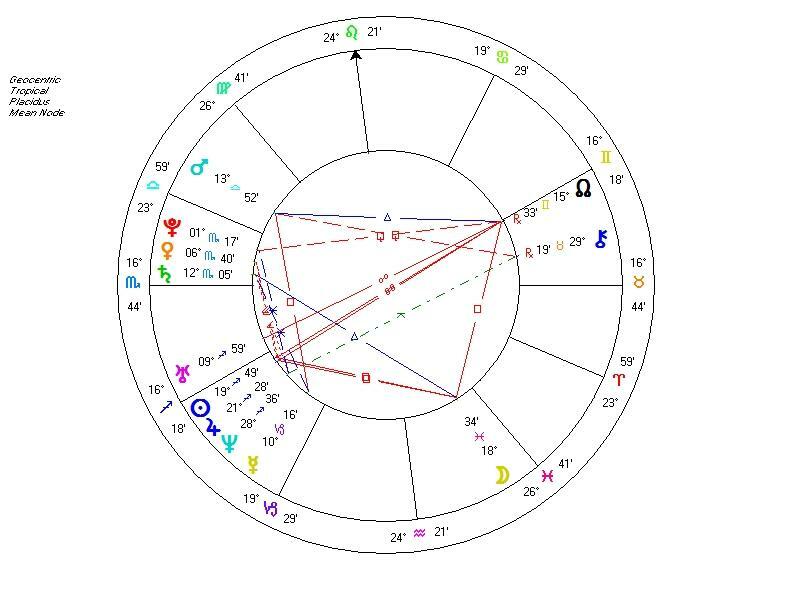 Could it be that these men actually feel familiar to you, and that you are judging yourself (Sag Sun, Jupiter) for these feelings (Pisces Moon)? Your Moon sits in your Fourth House of Home, Family and Roots. And you would feel “at home” with Pisces because your Moon conjoins their Suns (at least by sign). 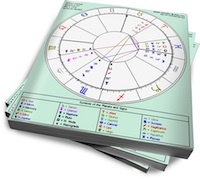 Moon-Sun conjunctions in synastry are beneficial for long-term relationships. In addition, your Sun conjoins the Moon’s South Node in the Second House of Security. Maybe you were a rich Turkish princess in a past life, and you’ve been trying to find your prince in this one. Jefrey, could it be that this Sagitarius needs to committ sooner than later as she has NN in the 7th, and yet–she has Chiron in the 7th, so there’s lessons and wounding?It’s interesting placements anyway. I was about your age when it happened a lot more too—but it continued to happen still,a lot longer.LOL. However–I thought of something else– could it be you really want the 1st Pisces back, and the other two Pisces while you have feelings for them, you more want to be reunited with the 1st Pisces? I get the feeling you really love and long for him. Proserpine, I see the North Node more as sitting on the 8th house cusp. Moving towards sexual intimacy and sharing of financial resources would be Sag’s area of growth. Jeffrey, thanks for that feedback. I never even mentioned feeling at “home” with a Pisces, but that is exactly how I feel. You are also dead on with the internal Sag and Pisces struggle, because I reject this part of myself as being “over-sensitive” and I admire it in another person….over there, where I don’t have to be responsible for it completely. Also, Proserpine is right about me wanting the first one back…but that is unlikely to happen. Our lives couldn’t be less compatible. He had his moon is Sagittarius too, and fireworks were raging from the first moment we met. It was like starting the swim in the deep end of the ocean, without ever wading in or anything, just starting right there in the deepest place. So, I shouldn’t feel bad for this? I shouldn’t be worried? That is what I am gathering…maybe it is all the Scorpio in me that is freaking out, wanting to control everything, understand everything, and anticipate. I am just exhausted from having 3 guys on my mind all the time. I do only want one prince…wish he would make himself more obvious so I could narrow this down….